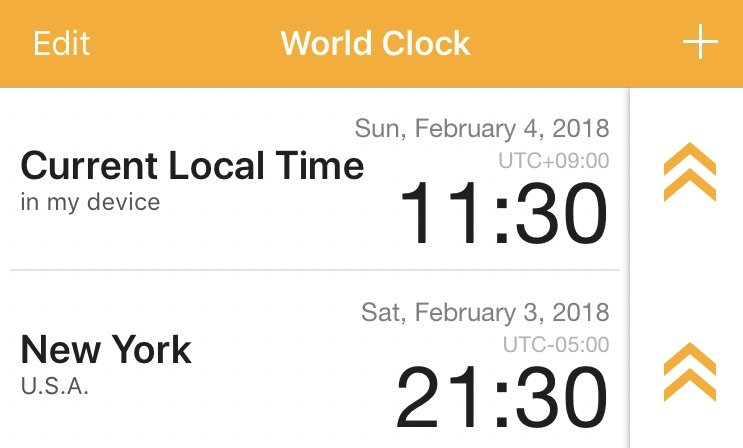 We are so excited to release our “World Clock” app version 2.2. In this version, we added three new features to our app. Let me explain these three features. For example, if you took a flight from San Francisco to Berlin, the San Francisco “Current Local Time” shows you the Local time of San Francisco. After the flight, the Berlin “Current Local Time” shows you the Local time of Berlin. Strictly speaking, there are a few necessary conditions for this feature to work as expected. However, we believe that this new feature is very valuable for most of our users, especially those who travel frequently around the world. 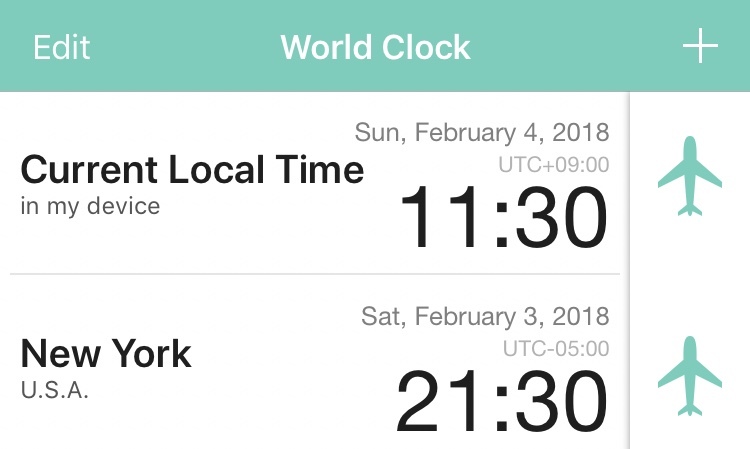 If you’d like to know more about “Current Local Time”, please check here. This feature shows you the daytime and nighttime in each city visually. 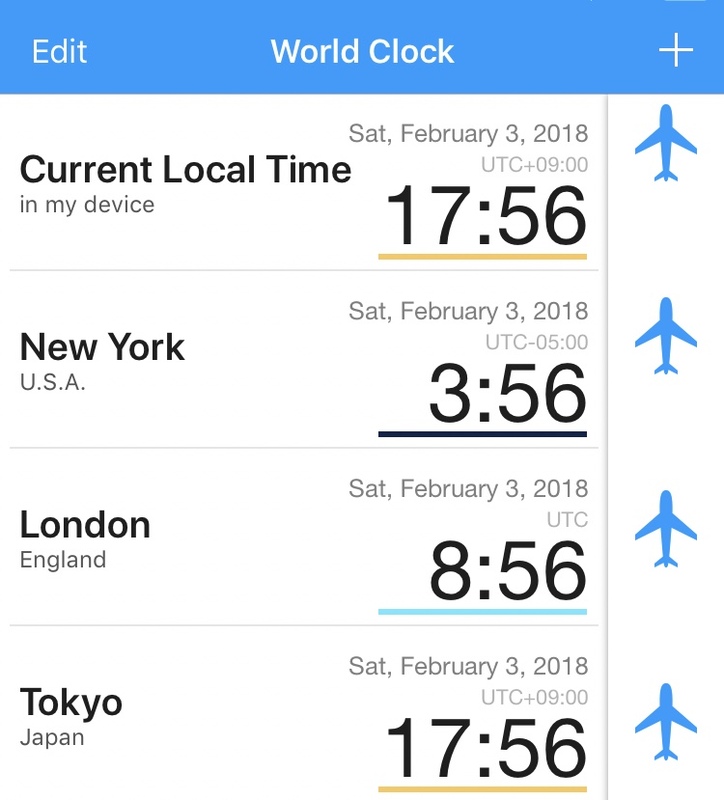 For example, if you scroll up your iPhone’s screen, and adjust the time in Tokyo forward, the color of the bar below the time will gradually change from sky blue(daytime) to dark blue(nighttime) . We sometimes call our families abroad at midnight when we mistakenly calculate the daytime and nighttime. We hope that such trouble can be decreased by this feature as much as possible. We have shown you airplane icons on the Time Bar until version 2.1. 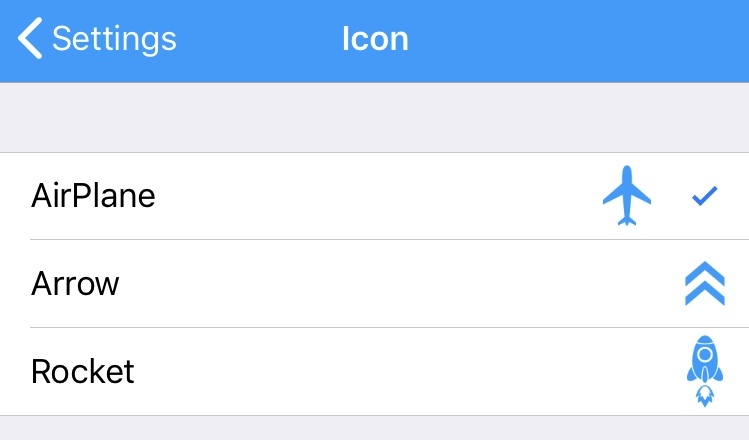 Although we have loved the airplane icon as the symbol of this app, we decided to add various icons. The new icons are Rocket and Arrow. This feature is not so important to the essential functionality of this app. However, we believe it is also interesting if you can use our application with your customized designs. It becomes possible to create many types of appearances if you combine various icons and colors. We would be happy to see you create your own “World Clock” design. You can try all of these by going to the settings or the city list of the application. We really appreciate our great users who support our creative innovations. 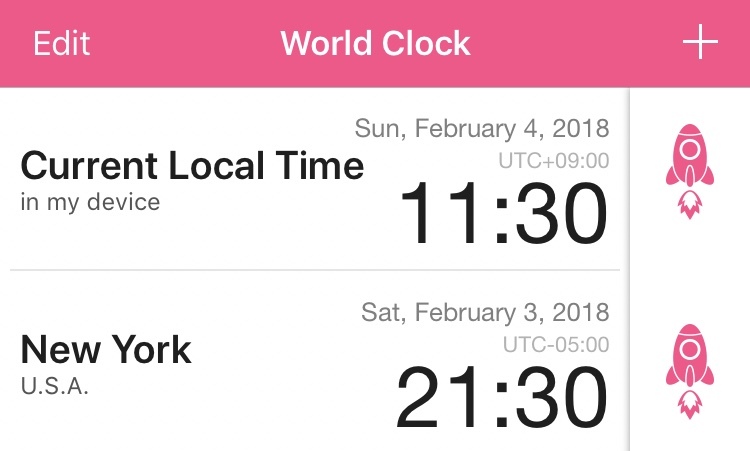 we hope that you enjoy our “World Clock” app for many years to come.